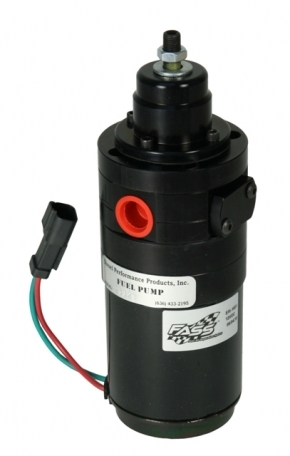 FASS High Performance Fuel Pump 165gph flow rate. Recommended for the Common Rail Dodge if wanting to exceed over 100 additional HP (Level 4 on our PowerMaxCR). CAUTION NOTE: Other mods to the fuel system may need to be upgraded to work with the 165 pump.